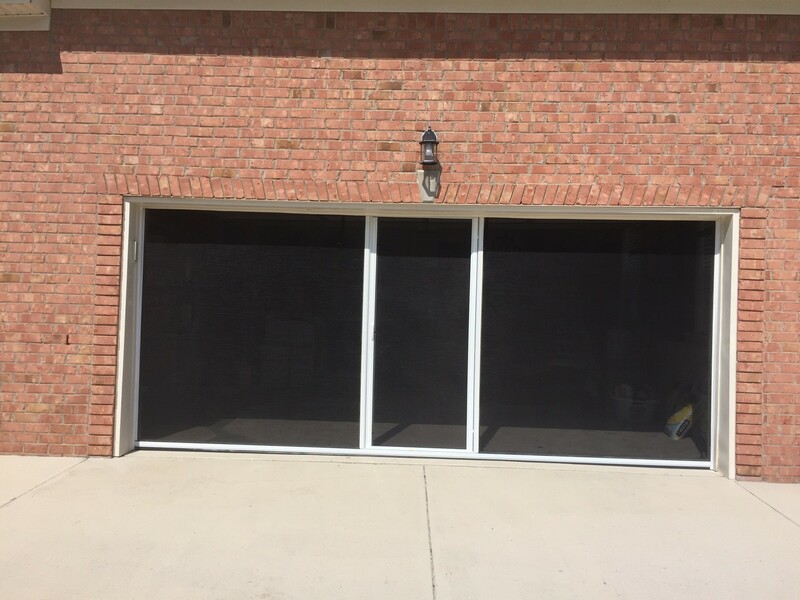 Lifestyle Screens are fully retractable garage door screens which work with your existing garage door. The Lifestyle features an industry first, fully retractable passage door for ease of entry and exit without having to retract the entire system. The Lifestyle garage screen is fully spring loaded, making opening and closing quick and easy. For a limited time we are offering a 10% discount on installation of your very own lifestyle screen. The Lifestyle is framed with 2″ x 2″ architectural grade aluminum with a wet painted shell for a durable and consistent finish. The Lifestyle screen runs on maintenance free tracks, independent but similar to your primary garage door tracks. Lifestyle’s spring loaded counter-balance system makes it effortless to open and close the screen and eliminates the headache of an electric opener. Lifestyle’s optional door-within-a-door feature allows for easy entry and exit. When in use, the Lifestyle screen occupies the same position as your solid garage door. No other garage screen offers Lifestyle’s broad range of features. Bottom line is, your search for a garage screen system that will give you many years of trouble free service ends here. Lifestyle is the only garage door screen for you.